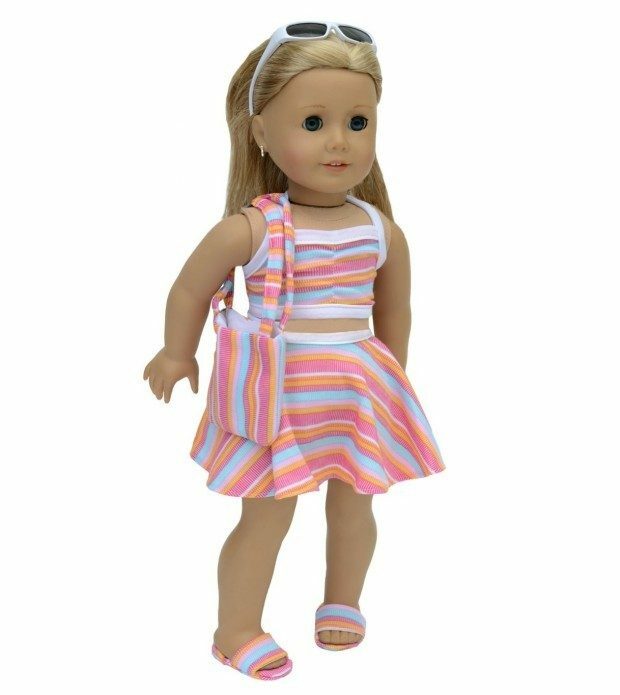 Swimsuit 6 Piece Set for American Girl Dolls Only $7.95! Your girl can get her American Girl all ready for a beach day with this really cute swimsuit set! Pick up this Swimsuit 6 Piece Set for American Girl Dolls for Only $7.95! This set includes the 2 piece swimsuit + a cover up skirt + clogs + towel + bag!